CBD Oil Review rates VitaMia Hemp with three stars because it qualifies for the Quality, Mission & Innovation Badges. At VitaMia Hemp, the farm is the muse of this family business that emphasizes quality over quality. They easily hit high marks for sustainability and advanced farming techniques, priding themselves on the purity of their products that have a literal personal touch (they are harvested and processed by hand). We recognize excellence in localized production, as their entire process takes place in Colorado, and the bulk of it happens on or near their farm in Boulder. However, VitaMia falls short in a few key areas that we’d like to see resolved. Carina and John are the owners and operators of family-run VitaMia Hemp. Both come from farming families, and the brand is hyper-focused on what else, the plants. They are the real deal when it comes to sustainable farming, utilizing soil balancing, efficient irrigation, and other organic/biodynamic techniques on their two genetic lines that are hand-harvested and hand-processed. VitaMia Hemp doesn’t care about being the biggest producer out there but rather focuses on localized production. By only developing products they use themselves, VitaMia Hemp maintains a level of integrity that we applaud. And we love that the entirety of their production process takes place in Colorado with the majority in Boulder, the location of their farm. VitaMia Hemp uses a closed-loop, subzero ethanol extraction method with gentle lipid infusion to supercharge terpenes and other beneficial phytonutrients. 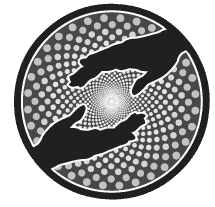 The brand appears highly transparent by listing all their partners and detailed processes and registering their farm with both state and federal authorities. While they claim to perform regular, independent lab testing, they do not publish these results online, so we are unable to award the Safety Badge. The CBD product line is basic, featuring mini softgels, pet tinctures, and topical options. The softgels feature full spectrum extract along with MCT oil and gelatin, and the pet tinctures likewise contain full spectrum extract and MCT oil. The CBD topical line is where things get interesting. 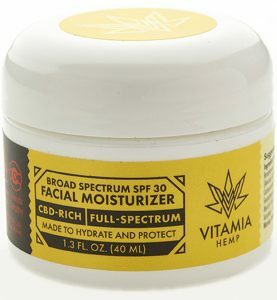 VitaMia Hemp makes an SPF 30 CBD Facial Moisturizer, and upon first glance, we were very excited. It’s free of parabens, reef safe, and contains a safflower cationic phospholipid that enables rapid absorption with long-lasting capabilities. But after examining the ingredients list, we are puzzled. There are various chemical additives, most of which we cannot pronounce, that we’re not so sure about. For example, tocopheryl acetate is cited by the Environmental Working Group as having a low to moderate risk with strong evidence of a human skin toxicant or allergen and documented cancer concern. Linoleamidopropyl pg-dimonium chloride phosphate (what a mouthful) is an additional chemical ingredient also documented by EWG with low to moderate risk and a known human toxicant or allergen. VitaMia’s other topical product, the Hemp Deep Relief Cream, also includes these two ingredients. Though these chemicals may be considered “safe” by governmental organizations, it’s not a good look, especially for a company in the wellness arena. We recognize VitaMia as innovators with their highly uncommon localization of all production, twofold genetics, and incorporation of technology like lipid infusion. Charitable endeavors seem to be absent, though this could just be an oversight on their part. Bottom Line – VitaMia is a farm-based, sustainable company whose high-quality plants are relatively unrivaled. We’d like to see publication of independent test results for potency and contaminants, and it’s a tad hard for us to get past some of the questionable ingredients in their skincare line. VitaMia Hemp harvests and processes their hemp from two different genetic lines on their own farm in Boulder using sustainable methods. VitaMia Hemp only crafts products they use themselves and wants to change lives through the sustainable agricultural development of hemp. 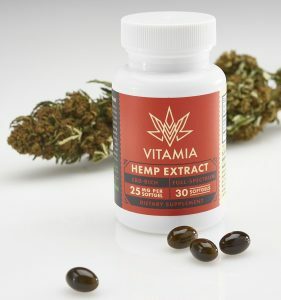 VitaMia Hemp maintains all production on a highly localized level uncommon in the industry, plus they utilize technology in lipid infusion and agriculture that separate them from the crowd.